This holiday wine post is a follow-up to the previous one on WINE FOR THE HOLIDAYS. I addressed the red wines – specifically Pinot Noirs, Zinfandels and Cabernet Sauvignons. This time, I will take on white wine, dessert wine and sparkling wine. So no matter if you are buying a gift, hosting a party, or going to a holiday event, you’ll be prepared with bottles in hand… And you’ll do so knowing that you got the right wine for the value that you want it to be at. Here are some WINE recommendations with a variety of prices. Cambria Chardonnay is about the best deal out there for a $13 Chardonnay. Muirwood is a little nicer for $15. There’s even a bit of butter and oak – goes great with fish, chicken or light pasta. Sonoma Cutrer makes a nice oaky and citrusy Chardonnay for $17. I have mentioned the Red Conundrum previously. The White Conundrum (by Caymus) sells for $18 and is a great white blend of Chardonnay, Viognier, Muscat, Sauvignon Blanc – nice citrus and balance. Clos Pegase is another good one for $19. Switching it up for a minute and going outside of the US – Glen Carlou from South Africa makes a great Chardonnay at $14. There are a LOT of wonderful Chardonnays in the next price range of $20-$30. Some of my favorites include ZD for $25, Gary Farrell for $26, Frank Family for $27 and Patz & Hall at $29. But one of my faves in Chardonnay is Rombauer. It’s an amazing wine at $30. If you want to go up into the next range for Chardonnays, these wines are making me drool a little just writing about them… Flowers at $32, Nickel & Nickel (owned by Far Niente) at $40, Paul Hobbs at $40, Pahlmeyer at $40. The last two I will mention here is Far Niente for $45 and Rochioli for $50 – consistently amazing wines. What’s a New Year’s without a little bubbly? 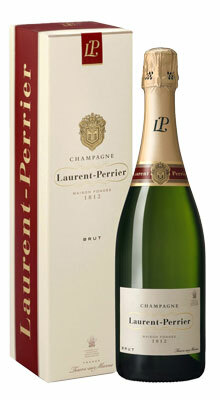 As you probably are aware, Champagne is ONLY from the Champagne region of France. If it’s Sparkling Wine from France, but not from this region, it’s called “Mousseux” or “Crémant”. Other countries call Sparkling Wine… Sparkling Wine in the US, Cava in Spain, Cap Classique in South Africa, Espumante in Portugal, and Spumante in Italy. FYI – Prosecco is Sparkling Wine specifically from the Veneto region of Italy. Little known fact – Sparkling Wine began in the UK, before the French started making it. The UK is now back in the Sparkling Wine business. My personal favorite for the value is La Marca Prosecco. You can pick this up at Costco for $11. You get the nice bubbles of a Sparkling Wine for a very inexpensive price of entry… and no headache afterwards. My next recommendation is Domaine Carneros. This Sparkling Wine has become very popular over the last few years. It sells for $28, but you can sometimes find it for $23-$25. Another wonderful Sparkling Wine is Schramsberg – they make several that range from $27-$35 (and up) that are wonderful. They do make a “Schramsberg Mirabelle Brut Rose” for about $19, but I personally didn’t care for it. And how we can forget the ever-popular Champagnes that are always wonderful – Perrier Jouet for $34, Taittinger for $40, and Veuve Clicquot for $42. I am not a BIG dessert wines guy. But I will share with you some of dessert wines that I enjoy once in a while that I have purchased on my trips to various wineries. If you are interested to purchase or learn more, click on the links to the winery websites or check with your local wine store. 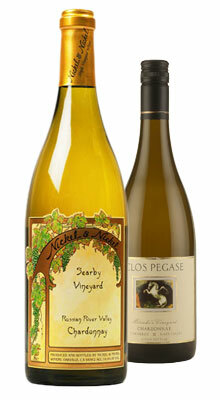 Lucas & Lewellen – Nectar de Viognier – $24/500ml – Sweet Viognier – Pear, tropical fruits, and aromatic flower blossoms. 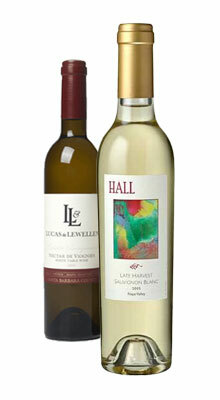 Hall – Late Harvest Sauvignon Blanc – $35/375ml – Apricot jam, honeyed fig and butterscotch. Buttonwood – P.O.S.H. – $24/375ml – Syrah Dessert Wine – Goes with hard cheeses, dried fruits, and of course chocolate. Artiste – Le Bec Sucre – $37/500ml – Port style blend with Tempranillo Port, Syrah Port, Touriga Nacional, Sousao. Hall – Portrait – $35/500ml – Cabernet Sauvignon Dessert Wine crafted with classic Port winemaking techniques. Rich flavor, silky texture. Oso Libre – Azúcar – $40/500ml – Late Harvest Estate Blend. Azúcar is the Spanish word for “sugar”… ‘Nuf said. As I have mentioned before, these are wines that I have a personal liking for. May your holidays be full of cheer and responsibly safe. And please enjoy wine with the people who are near and dear to you… and perhaps some strangers too.